Who knows how much the channels like Sundance, IFC, and WE will contribute to the overall ratings—they’re not exactly known as numbers juggernauts—but it can’t possibly hurt. If nothing else, it’ll provide exposure to an audience that may not be as likely to tune in under other circumstances. After all, those channels aren’t exactly renowned as hotbeds of science fiction, and more eyeballs is always a good thing. Showing up on AMC, however, could be a massive. The Walking Dead has been the biggest show on cable for a while now, consistently delivering monster ratings among the most coveted demographics. Their latest endeavor, the Breaking Bad spinoff Better Call Saul also recently broke records for a cable debut. This may also serve a purpose for the network as well. Over the years AMC has tried to get science fiction programs off the ground, but none have ever come to fruition, so airing a show that’s already rolling could be a way to get their foot into the genre door. Hopefully, if Orphan Black is successful there, the network brass will be more proactive about developing sci-fi programming in the future. The show is still going to air on Saturday nights, and if there is any justice, star Tatiana Maslany, who plays multiple characters, often within the same scene, and is fantastic. 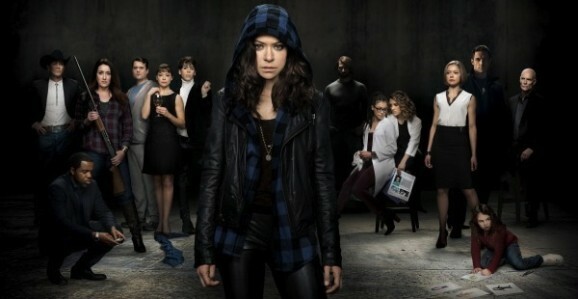 Orphan Black makes its network debut on April 18.